Derived from seeds of the plant Oenothera biennis, evening primrose oil is a traditional herbal memory for several health conditions. The oil is rich in the essential omega-6 fatty acid gamma-linolenic acid (GLA), a substance that decreases inflammation in the body, as explained by the University of Maryland Medical Center (UMMC). Evening primrose oil may be beneficial for treating eczema and other skin conditions, premenstrual syndrome, menopausal symptoms and diabetic neuropathy. Several side effects are possible. Some people experience minor side effects when taking evening primrose oil. As listed by the U.S. National Institutes of Health (NIH), these effects include headaches, abdominal pain, nausea and loose stools. The UMMC notes that people may experience stomach pain and loose stools when evening primrose oil dosage is too high. GLA supplements can increase the risk of seizures in people with a seizure disorder, according to the UMMC, and in patients taking phenothiazine antipsychotic drugs. Taking evening primrose oil also can raise the risk of seizures in patients undergoing anesthesia. The UMMC advises anyone scheduled for surgery requiring general anesthesia to stop consuming evening primrose oil at least two weeks beforehand. Evening primrose oil, like other omega-6 fatty acid supplements, may increase the risk of abnormal bleeding. People with a bleeding disorder or taking medications or herbs with blood-thinning effects should be cautious about taking evening primrose oil, according to the UMMC. These blood-thinning substances include warfarin, heparin and nonsteroidal drugs such as aspirin and ibuprofen, as well as the herb ginkgo biloba. Pregnant women should not take evening primrose oil, according to the Memorial Sloan-Kettering Cancer Center. The center cites a report of an infant born with bleeding under the skin surface due to broken capillaries after the mother had taken evening primrose oil one week before childbirth. Some people may experience a hypersensitive or allergic reaction to evening primrose, although this is uncommon, according to the NIH. People hypersensitive to other plants in the Onagraceae family or to GLA are more likely to have a reaction to this substance. Signs of an allergic reaction include a rash or hives, facial or mouth swelling, and difficulty breathing. An allergic reaction to evening primrose oil should be considered a medical emergency. 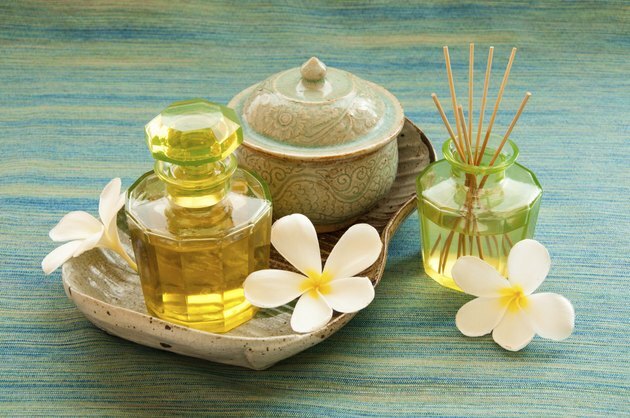 A person who is allergic to evening primrose oil also may develop skin irritation when using the oil topically.